If you want a simple, high quality hand dryer at a low price, your choice is very simple. The Mediclinics Junior Plus combines great performance, low noise and high durability and has the best warranty in its class. The European styled casing is a very solid 3mm ABS and has simple, modern lines – it is very easy to specify for a wide variety of low traffic situations. The Mediclinics Junior Plus hand dryer is one of the quietest machines on the market. Backed by the best warranty in its class. It has a very clean, modern design, which will work well in a wide range of interiors. 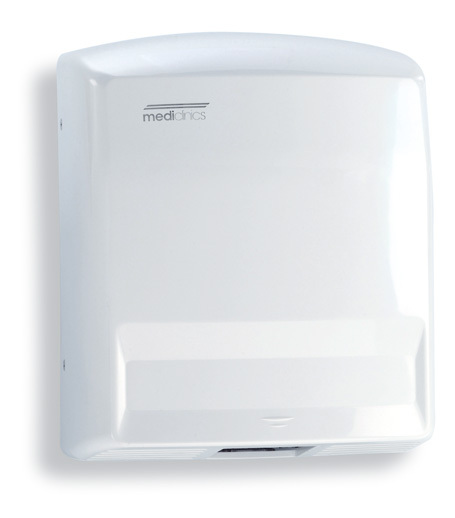 The Mediclinics Junior Plus hand dryer delivers excellent quality at a very low price. Available in automatic and manual, push-button models. The Mediclinics Junior Plus hand dryer has the best warranty in its class. 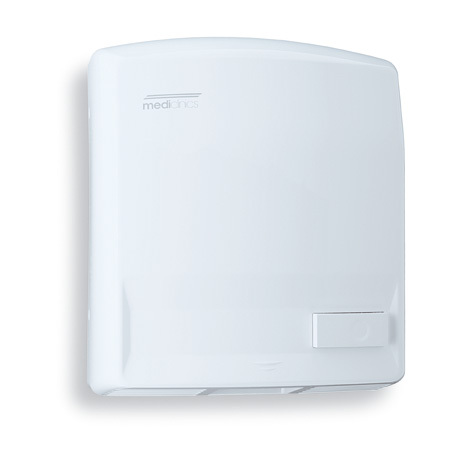 The Mediclinics Junior Plus hand dryer is a simple, high quality, low cost machine for low traffic scenarios. It is extremely durable and low maintenance. The modern European design will fit in a wide range of washroom interiors. The Mediclinics Junior Plus, running at only 60dB, is very quiet. The Mediclinics Junior Plus, above all, is a high quality machine. It is designed and manufactured in Europe to the highest standards, with all components sourced in Europe. Because of this, the Mediclinics Junior Plus has the best warranty in the country. If you have a low traffic washroom and want a modern, high quality hand dryer with a budget price – look no further. The Mediclinics Junior Plus hand dryer is the simple, high quality, choice.